A position-by-position breakdown of UNLV vs. Northern Illinois. UNLV’s Blake Decker threw for 397 yards and two touchdowns in last season’s meeting, and he’s certainly capable of getting hot today. Northern Illinois’ Drew Hare not only puts up numbers but also makes few mistakes. The Rebels had virtually no running game last season, and though two freshmen have given it a spark, they’re unproven. The Huskies lost leading rusher Cameron Stingily, who had 971 yards and 14 touchdowns. Joel Bouagnon is back, however, coming off a 655-yard season. Devonte Boyd put together a record-setting season for the Rebels, and Kendal Keys and two seniors will help keep opponents from double-teaming him. The Huskies counter with their own effective twosome in Kenny Golladay and Tommylee Lewis. Both teams return just two starters. Huskies center Andrew Ness is on three major watch lists, and guard Aidan Conlon has started 42 consecutive games. 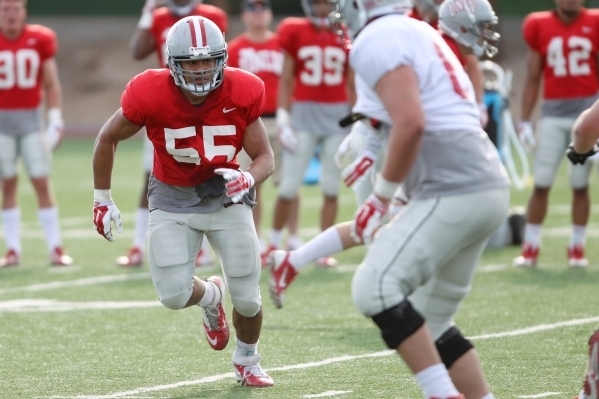 UNLV’s line might develop into a strength, but there are too many unknowns. 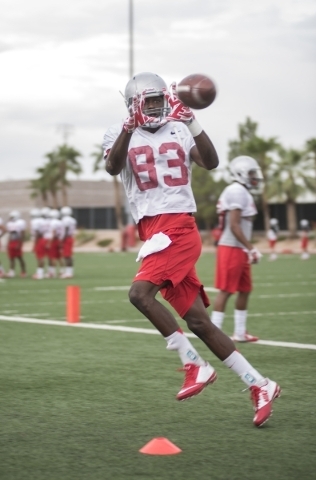 No UNLV position improved more from the end of spring to the end of training camp than this one, but many questions remain. Northern Illinois end Perez Ford is one of the Mid-American Conference’s top linemen. This is UNLV’s most experienced position group, led by leading tackler Tau Lotulelei, who had 100 stops, including 10½ for loss. Northern Illinois’ Boomer Mays was second-team All-MAC last season. The Rebels’ Peni Vea is one of the Mountain West’s top safeties, but he’s the only returning starter, and there are major concerns at cornerback. Northern Illinois is led by cornerback Paris Logan and safety Marlon Moore, both standout defensive backs. Lexington Thomas has the look of being a potentially strong return specialist for the Rebels, who also field a solid punter in Logan Yunker, but there are questions elsewhere. Northern Illinois, however, has its own share of concerns. The Huskies know little about what the Rebels will run or about their new personnel. UNLV also is energized by first-year coach Tony Sanchez’s fired-up approach, and no doubt the Rebels have noticed they’re 23½-point underdogs. Bruce Marshall (goldsheet.com): NORTHERN ILLINOIS 48, UNLV 20. Unless Sanchez suits up Ronda Rousey, the talent-shy Rebels are hardly equipped to deal with a brutal early slate that begins against a Northern Illinois team that gained more than 600 yards at Sam Boyd last year and returns precise and fleet quarterback Drew Hare. Check our GameDay page for full coverage of the UNLV-Northern Illinois game.